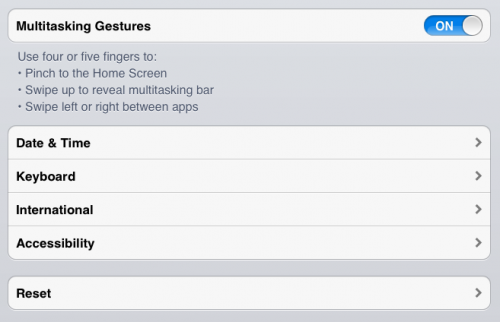 RedmondPie points to an interesting LifeHacker article that shows you how to re-enable multi-touch gestures on an original iPad with iOS 5. The method is quite simple really, and best of all, it doesn’t require a jailbreak. Step 1: Download the latest version of RedSn0w from here. Step 2: After launching the utility, select the jailbreak option and follow the instructions to put your iPad into DFU mode. Step 4: The process takes a few minutes and a couple of restarts. Once it’s finished, open up the Settings app and select the General tab. You should now see the “Enable Multitasking” option.